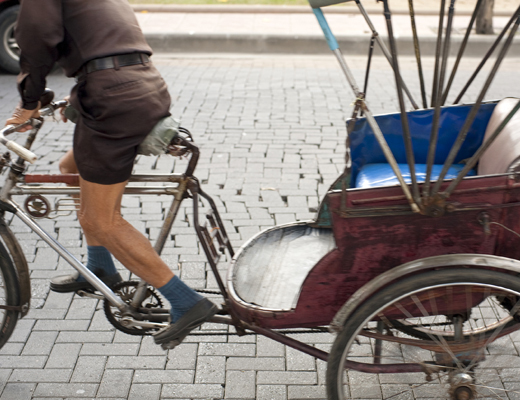 Chiang Mai qualifies as a ‘must-see’ destination for any first time visitor to Thailand and the city’s many charms – its warm hospitable people, rich culture, laid-back atmosphere and proximity to verdant national parks and other popular northern sites - make it a place that many come back to time and again. A walk through Chiang Mai’s sleepy old town reveals its centuries-old history with ancient temples shaded by towering trees hidden down winding alleyways and historic landmarks dotted along its main streets. 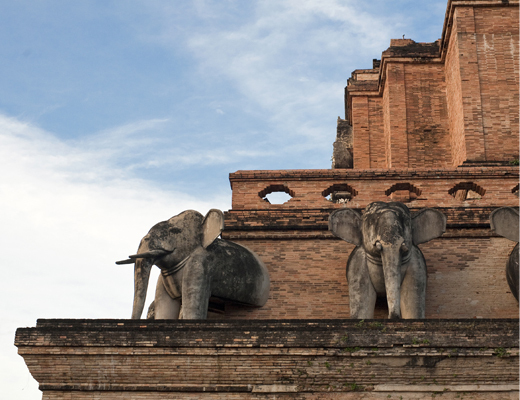 The city moat, brick ramparts and numerous gates hint at the strategic role Chiang Mai played as a royal capital and center of trade in the past. Bustling local markets and colorful shops add flavor to any visitor’s experience of the city. A short drive out of town in any direction takes you to into northern Thailand’s scenic countryside. The lush valleys of the north are surrounded by rolling hills which are perfect for day trips to local waterfalls or for the more adventurous, for trekking to remote areas to visit northern Thailand’s hill tribe villages. Doi Inthanon, Thailand’s tallest peak at 2,595 meters is just a three hour drive from Chiang Mai and can be visited as an easy day trip from the city. The north’s unique Lanna culture invites exploration of a different kind. Chiang Mai offers those interested in art and architecture, history and Buddhism a number of unique opportunities to study and discover its traditions. 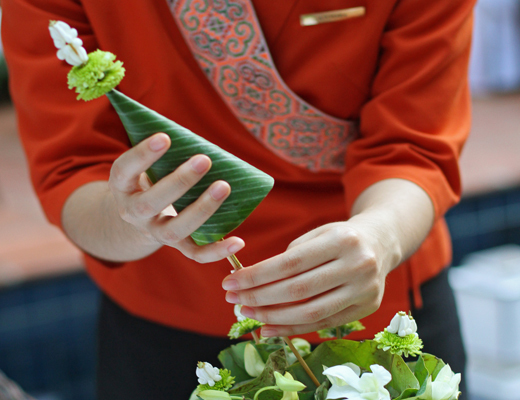 There are massage courses and Buddhist meditation programmes available for short and long stay visitors as well as Thai cookery, textile weaving and language classes. The region also boasts a fascinating array of crafts which reflect northern Thailand’s varied cultural influences from neighbors such as Burma, China and Laos. 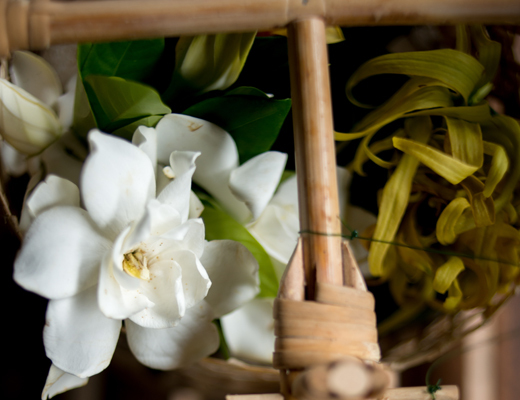 Woodcarving, lacquer ware, hand woven cloth, painted umbrellas and silver are amongst some of the more traditional objects produced whilst younger generations of Chiang Mai artists create contemporary décor and design items of note. The great variety of one-of-a-kind items available ensure Chiang Mai’s continued reputation as Thailand’s best shopping destination for those ‘in the know’. Chiang Mai is also renowned for its lively festivals and celebrations including Loy Kratong, the candle floating festival held each November; Songkran, the Thai New Year festival in April as well as the Flower Festival held in February making it a popular place to take in these special occasions for both Thais and visitors alike. Tamarind Village offers half and full day excursions around Chiang Mai and the surrounding region as well as a regular programme of in-house cultural activities meant to introduce guests to the traditions of the north. To learn more about Tamarind Village’s excursion and activities, click here.